Richard has had a distinguished career within aviation since leaving QEGS in 1980. He started his career in the RAF, leaving in 1992 with the rank of Flight Lieutenant and an Airline Transport Pilots Licence. 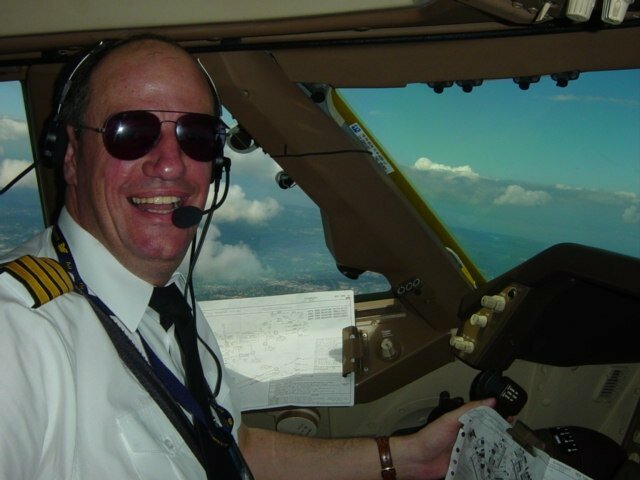 From 1994 to 1996 Richard was First Officer (Co Pilot) B757, Air 2000, Manchester. In 1996 he joined the Royal Brunei Airlines and had 9 years living in Brunei and working for the Sultan of Brunei’s airline initially as a first officer and then as Captain from 1999. Following this he became a Captain in Singapore Airlines Cargo and has recently have been offered a Direct Entry Command on the B777 with Emirates. The Emirates route network truly spans the globe and operates the B777 in all of its different variants. He can therefore undertake high density short haul operations, medium density long haul, Ultra Long Range (ULR) flights and freight operations so it is a challenging, professional and very enjoyable working environment. One of the many other big attractions for him working for Emirates is that it08:13 11/03/2015 is permanent employment rather than a contract of a fixed length so he hopes this will see him through to an early retirement.